Update: the name of this cicada is actually Trengganua sibylla (confirming after consulting Allen Sanborn’s giant cicada book. You’ll find people also refer to this cicada as Tosena sybilla. P1020993, originally uploaded by The Aperture Studio. From Flickr. 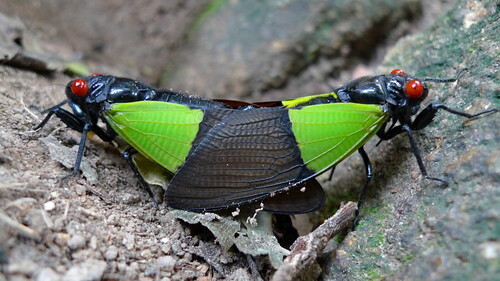 A pair of Terengganua sibylla mating. This website has a audio file of the Terengganua sibylla signing.